February 17, 2013, St. Moritz, Switzerland ~ 14,000 spectators saw the victory of Russian Tango at the Gübelin 74th Grand Prix of St. Moritz. Mombasa was the winner of the Grand Prix Credit Suisse, allowing Adrian von Gunten to take the Credit Suisse Skikjöring Trophy once again. Mask du Granit, too, trotted up in the Grand Prix BMW for the third time during the 2013 meeting as first across the finishing line. 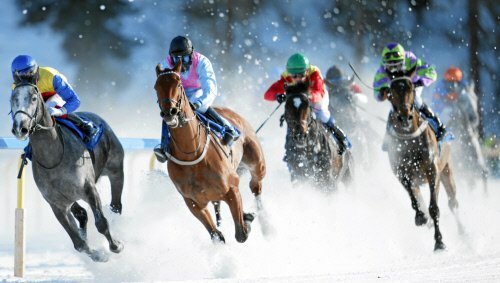 The race day started off with the Grand Prix Moyglare Stud – Racecourse Berlin/Hoppegarten. At the presentation ceremony, Gerhard Schöningh, the owner of the racecourse at Hoppegarten, presented the prizes to the team of outsider Lipocco (Mirco Demuro) trained in Munich by John David Hillis. 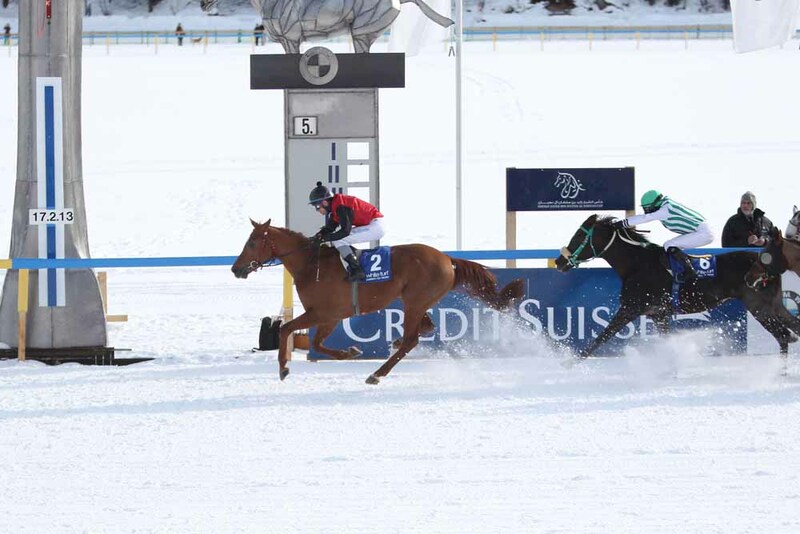 “We had counted on a good position but the jockey was confident of victory beforehand. 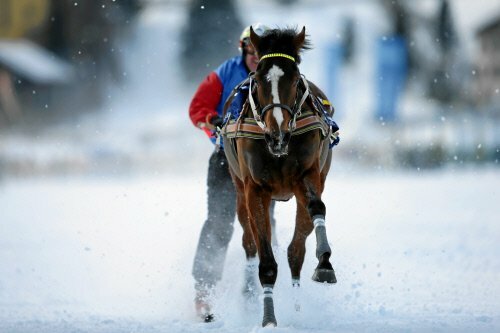 At the first start on snow, Lipocco was not in good shape”, said the trainer. Le Big (André Best) came second and Exchange (Frédéric Spanu) third. 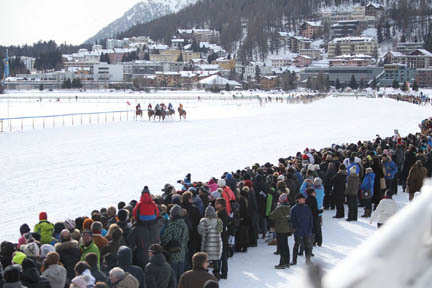 The Gübelin 74th Grand Prix of St. Moritz was won by six year old Russian Tango from the German stable of Andreas Wöhler under Jozef Bojko in front of the 14,000 spectators He took it by half a length from Winterwind (Filip Minarik), with Nightdance Paolo (Frédéric Spanu) in third, six lengths further back. The favoured stallion with is owned by Edda and Albert Darboven from the stable Darboven in Hamburg.